Technical Solutions | RJ Owen Associates, Inc.
RJ Owen Associates is a Technical Solutions Provider serving Commercial, Industrial, and Institutional markets. 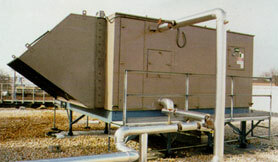 We offer comprehensive product solutions for commercial and industrial HVAC, steam specialties, and process and building controls. We also offer technical and business consulting in the areas of energy efficiency, equipment commissioning, preventive maintenance, and comprehensive repair services. Utilizing innovative engineering, sound business practices, and solid factory support we help our customers thrive in the global economy.